2. Guns are getting into the wrong people’s hands. As I drove home from worship yesterday, NPR’s news break reeled off 3 different gun violence deaths, starting with last Wednesday’s AME church shooting; (Is that now going to be a thing? Like “school shooting,” we’ll have “church shooting?”) then one at a block party, and finished with one at a park. Clearly those guns were in the wrong hands. 3. If we can agree that guns are getting into the wrong people’s hands, can we agree that maybe the current laws are not working? That seems logical to me, but I have to be honest about my own firsthand experience. Studies of our brains also show that firsthand and anecdotal experiences hold much more weight in our opinions than say, science, or research, or facts. So, because my cousin-in-law was able to lawfully buy another handgun the day before he was to be arrested for murdering his mother with the first handgun, (and in a twisted blessing, used it to kill himself) you’ll be hard pressed to talk me out of #2 or #3. 4. Part of our inability to find common ground is that evidenced-based public policy on guns suffers from lack of extensive research. We all know something needs to change. (Please, please tell me we all agree on that!) Some say more guns, others say less, but what does evidenced based research, aka the scientific method suggest? That’s a hard sell right there, because we can’t agree that science should have a voice at the table, let alone a voice that outweighs our beliefs and personal experience. Our brains naturally prefer story – It’s how we’re wired to learn. Plus, our brains naturally divide the world into “us” and “them,” and the gun problem is with “them,” (read, poor, inner city, black, drug dealers, gangs, etc.) Throw a little reframing fueled by the “us-them” divide – – “Guns aren’t the problem – Violence is the problem,” (and it’s them – those violent people – who have a problem.) and you can see how our brains aren’t always our best friends. 4. We read the Constitution (selectively) literally. Okay, you might not initially agree with this statement, but hear me out: Some folk insist they read the Christian Bible as God intended, literally, factually, every single word true, but no one – NO ONE follows ANY whole holy scripture entirely literally (For a great laugh-out-loud example of what it might look like to do so – check out A.J. Jacobs book, “My Year of Living Biblically.”) When we worry about changing our interpretation of the Second Amendment, it might do us well to remember this world is not what the founding fathers imagined. After all, they wrote the constitution to apply ONLY TO : Free. White. Over-21. Men. Landowners. We now understand their words apply in a wholly different context, in ways they never foresaw. Let me just say as a women, I’m grateful, although in my more paranoid flashes, I am capable of wondering if someone will decide to lead a crusade to exclude women from the “All men are created equal” phrase. The constitution as it stands does not prohibit that. 5. Given how our brains work, guns work way too fast. Our brains are not (you can argue, yet) designed, equipped, evolved, capable, of using guns responsibly in a threatening situation, unless we’ve gone through extensive re-training or practicing over-riding our brain’s natural tendencies to “shoot first, ask questions later.” An active responsible amygdala runs the show, and fear makes decisions much faster than logic, leading to tragic results. That’s not me speaking, that’s science. That’s how God made our brains, if you like: To keep us alive first, ask questions later. Those are my thoughts, with a little neuroscience thrown in, in the “for what they are worth” column. But let’s agree on this: You won’t change my mind, and I won’t change yours. We have to find a different approach. Dipping my toe back in: Neuroscience and Free WIll, or Does science prove Calvin was right? Why did you decide what to eat – or not eat – for breakfast this morning? Or, to make the stakes a wee bit higher, why does someone decide to kill another person? Because that’s the answer, and a very hot topic these days: How culpable are we for our deeds and misdeeds, if our brains made us do it? Implying that our brains are somehow separate from our selves, but in control of our selves. Are we are just puppets, because our unconscious brain is in charge? How accountable do we hold someone accused of a crime, if neglect and abuse shaped the earliest years of their brain? If we’re born with a genetic pre-disposition to alcoholism, and we grew up in a home with alcoholic parents – Is it fair? No. Is it right? No. 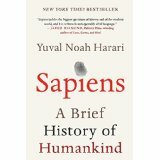 Does it explain how hard it is to resist certain patterns of thought and behavior? Yes. Does it then excuse our own addictive behavior and let us off the hook? No. The brains of every one of us arrived pre-wired, then grew, with certain tendencies and characteristics. There are folk whose brains don’t function well enough to hold them accountable. But if you can read this, that isn’t you. From one perspective it seems brain science proves Calvin right: All is pre-determined. But science also supports free will. With your prefrontal cortex, how will you live with the brain you’ve got? The self, the soul, the heart of who we are can rise above the influence of our reptilian impulses. We have self-agency, and a responsibility to care for our brain just like we’re to care for our body, our children, our world. 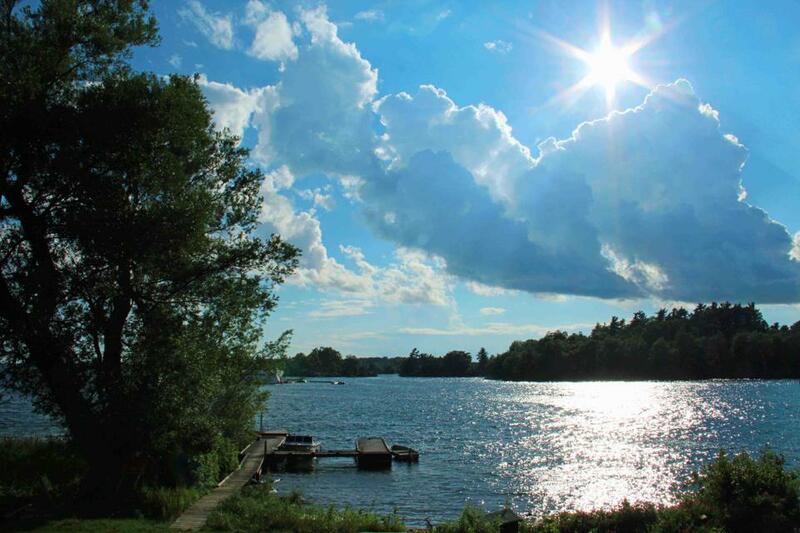 No excuses for neglecting your center of compassion. I’m reading an absolutely breathtaking book written from the first person perspective of a 65 year old medical doctor struggling with early on-set dementia. 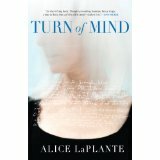 It’s called “Turn of Mind” by Alice LaPlante, and we are immersed in the mysteries of her own brain’s failings, her self-understanding moving in and out like the tide, and the death of her best friend. We only know what she knows at any given moment. This is what hits hard: Her reality is so convincingly utterly absolutely true to her in that moment, even as we know, it’s dementia ruling the day. But what she does, what she says, what she thinks, it all makes absolute sense to her. Sometimes, she can be brought back to the more objective reality of those caring for her. She insists one night it is an emergency, she absolutely must get to the drugstore THIS INSTANT, she is out of tampons. Her caregiver reminds her she is 65. “O,” she says, “Right.” The strange working of the mind, that one minute she knows without a doubt it’s a crisis. The next second, her medical mind remembers no 65 year old woman should be having an emergency tampon crisis. And she can trust her caregiver who tells her, she is 65. Crisis averted. But she doesn’t always trust what others tell her. Here’s the thing: This is what depression feels like. You forget you have depression, and your emotional responses make absolute sense to you, and you do NOT understand why no one else sees the crisis, or the sadness, or the pointlessness of this moment. A mundane anecdote from when I was struggling: My daughter got up early and ran out the door without telling us where she was going. I suspected she just went out for a run, but I was mad that she hadn’t told us. I start to dial her cell phone, but my husband rightly said calmly, “Let me talk to her.” Because in that moment, he knew better than I that this was not a crisis, and did not need me treating it like the emergency it was to me. I sort of got it. At least I trusted him enough that I handed him the phone. LIke when tears would spring up for no reason, and I wondered what the HELL is wrong with me? Or I couldn’t find the energy or will to put on my running clothes, or if I did manage, it took everything out of me, and I had to lie down. And again, like someone struggling to remember they have dementia, that’s why depression is so challenging to face. Because it’s your own brain turning against you. Since our brains are relentless meaning-making machines, the narrative runs: “You are just lazy. You are weak. If you just tried harder. Just get up off the couch! How hard can it be?” Resisting the obvious explanation: You are depressed. And then, if you are extremely fortunate, and blessed, someone you trust will point out that maybe it’s depression coming back. And even though you KNOW they are lying, they are just trying to be kind, they don’t know that really, you are just a lazy slovenly couch potato, some part of you is willing to believe, like the main character: O, 65 year olds don’t need tampons. And you trust them enough to agree maybe you should just check in with your doc. Because maybe something isn’t right. And maybe those stories in your head aren’t telling the whole truth about you as a person. But it’s hard, because those stories seem so, so real.